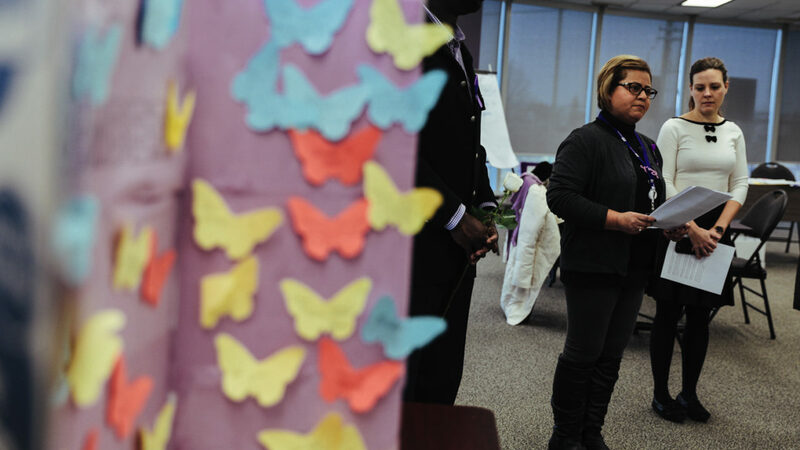 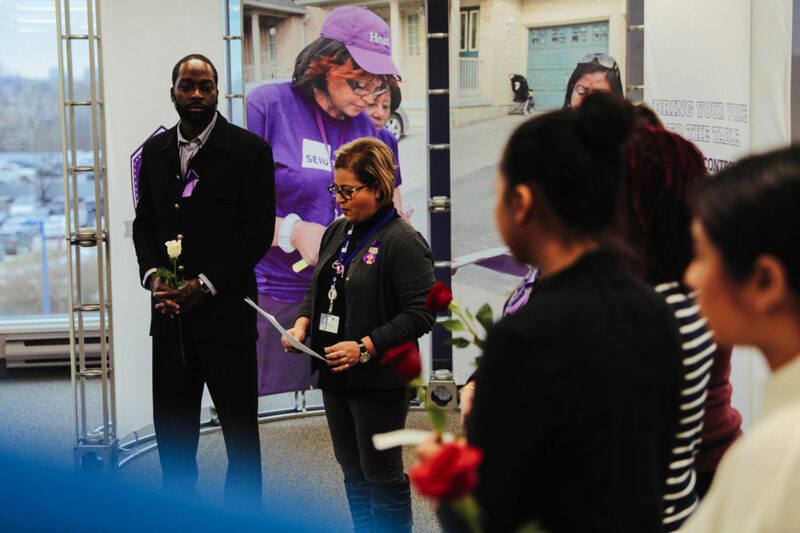 A vigil was held Dec. 6, 2018 at SEIU Healthcare’s headquarters in Richmond Hill, Ont. 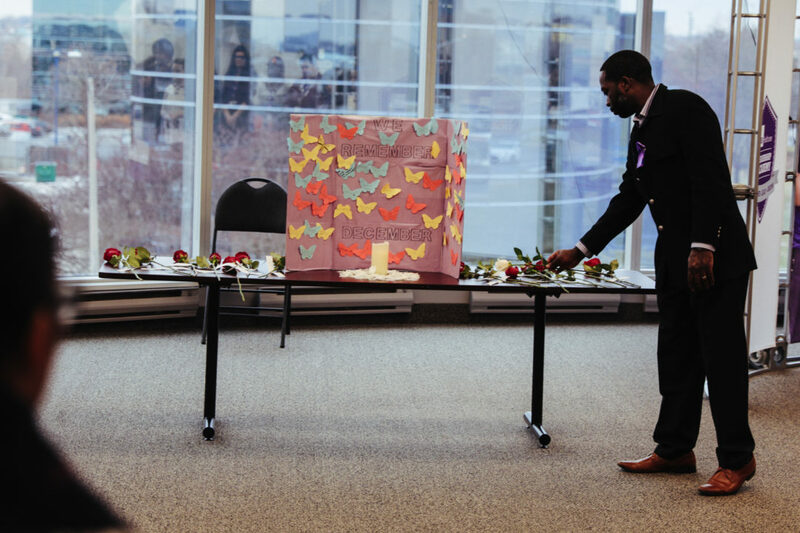 in honour of the victims of the 1989 Montreal Massacre and all victims of gender-based violence. 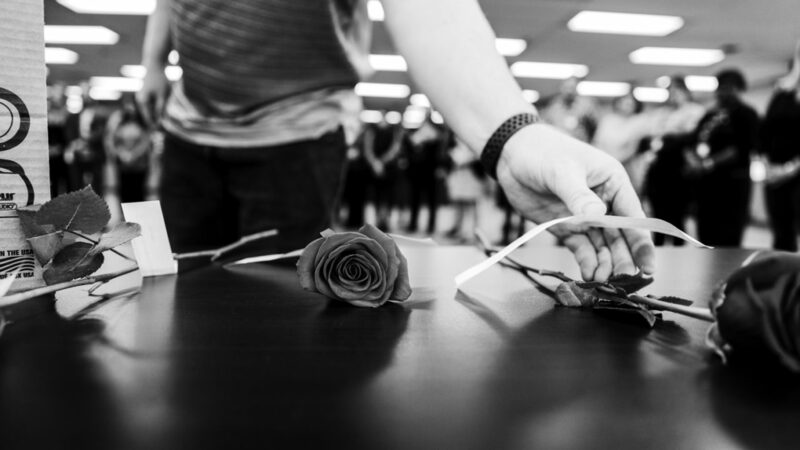 Members and staff laid fourteen roses while the names and brief profiles were shared about each victim. 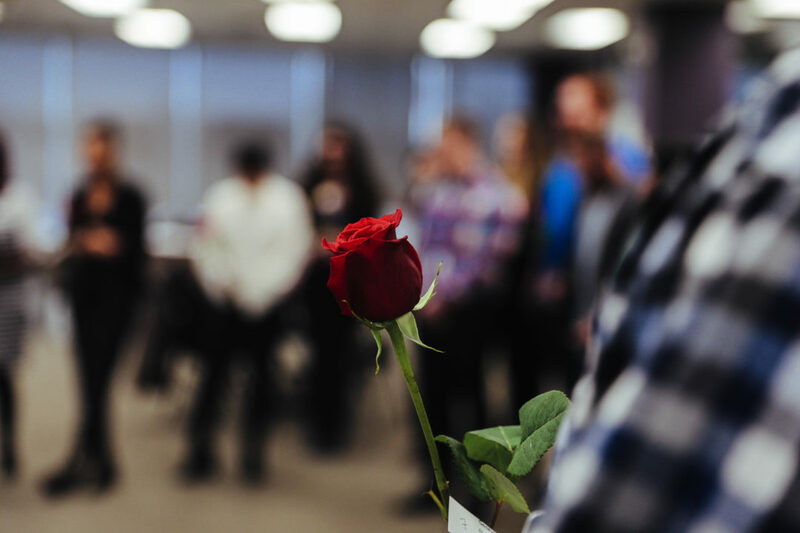 SEIU Healthcare’s Secretary Treasurer, Tyler Downey, laid one white rose to symbolize the support of men in ending violence against women and girls. 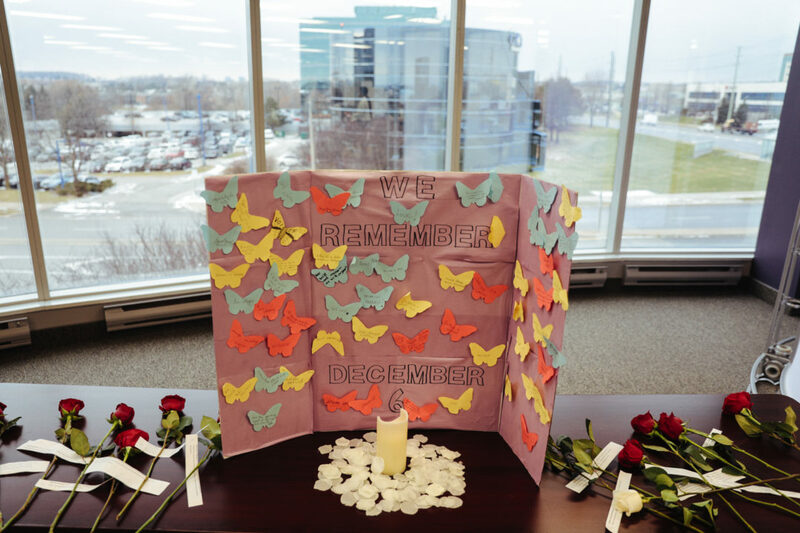 Established in 1991 by the Parliament of Canada, The National Day of Remembrance and Action on Violence Against Women, marked every year on Dec. 6 is a time to reflect on how violence affects women and what our communities can do to end gender-based violence. 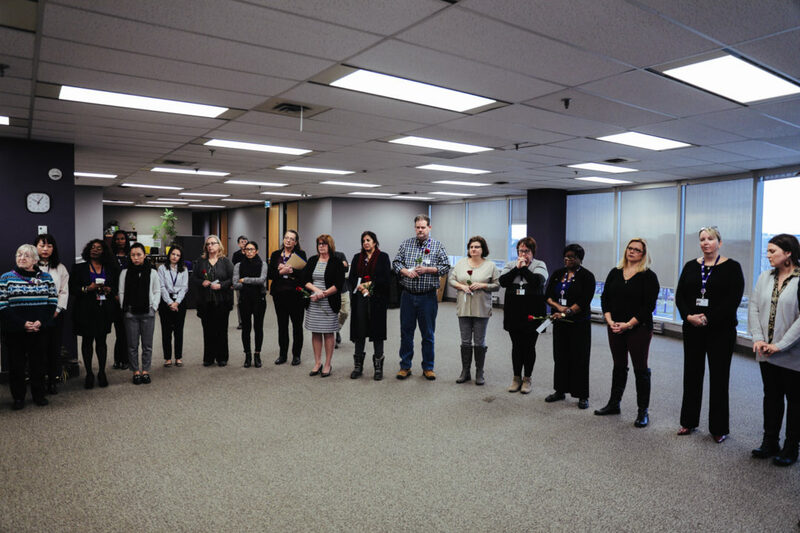 This year, during the 16 days of Activism Against Gender-Based Violence, Canadian unions are calling on the government to take action to stop violence and harassment at work. 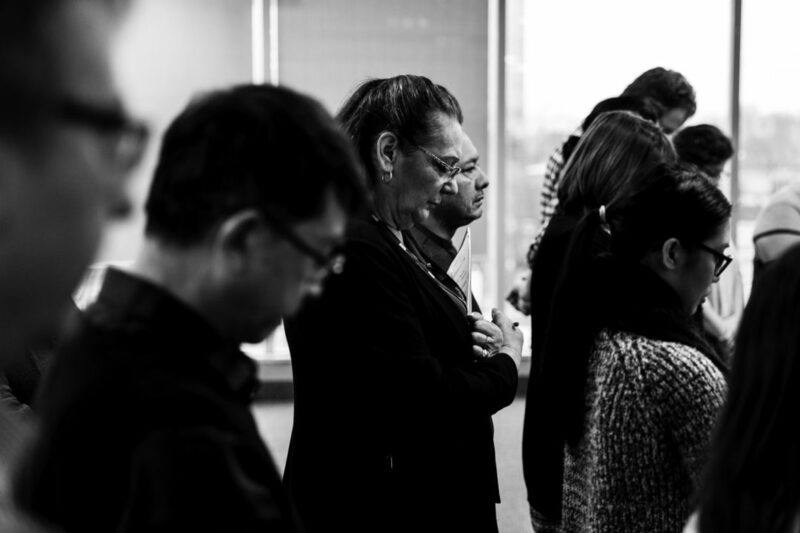 Globally, unions are pushing to negotiate a new convention at the International Labour Organization. 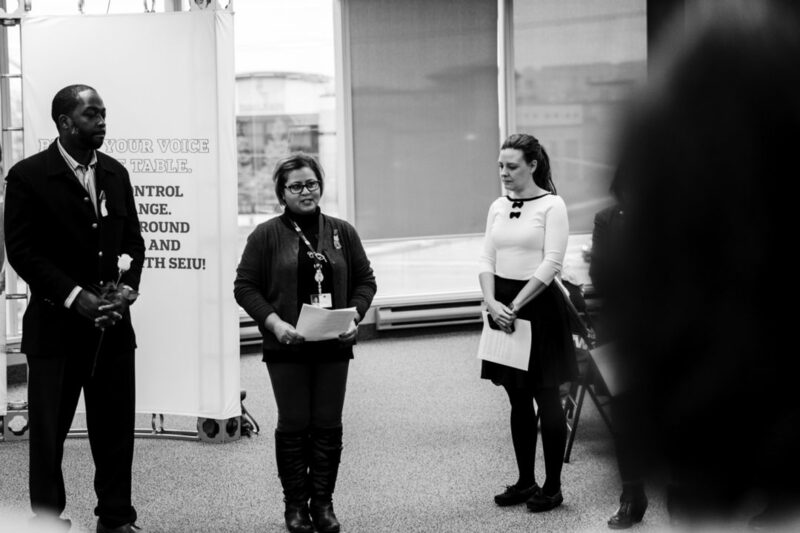 This binding convention would hold governments and employers accountable for preventing and addressing all forms of violence and harassment at work. 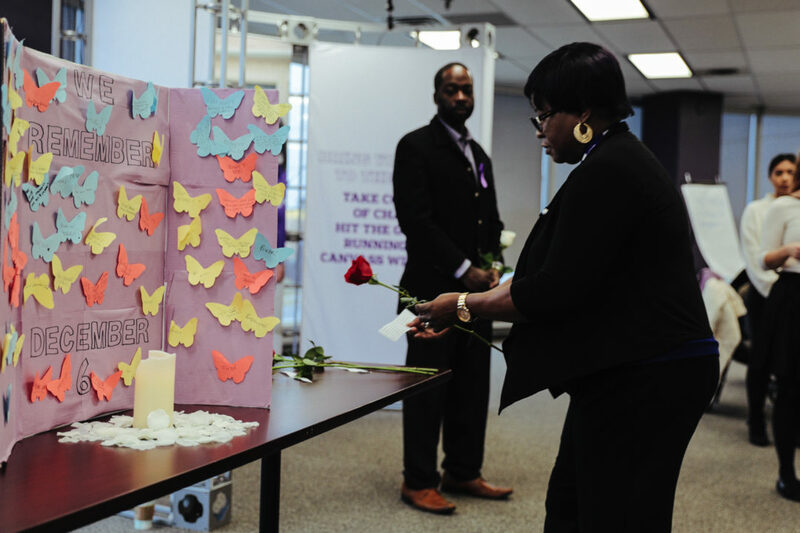 This 2018 campaign theme, #DoneWaiting, aims to question, call out, and speak up against acts of gender-based violence together with survivor advocates.